Hey, that bright orange tack looks familiar! Liberty and I are cover girls! (See their webpage for a better close-up and detail.) That particular tack set came from The Distance Depot, and while I might be slightly biased, I happen to think Liberty makes a great model for it. What’s even more fun is that about ten years ago, Mimi and I were cover girls for Long Riders Gear on one of their print catalogs. I’ve got that catalog stashed away somewhere and as soon as I dig it out, I’ll post that one as well. Thank you! 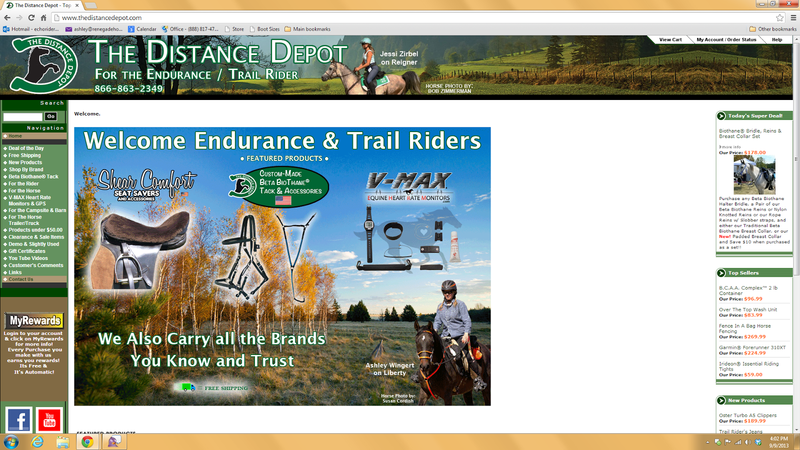 I love Distance Depot…awesome to work with and beautiful quality of tack.